Are you watching continental cups? One plays for Socceroos and the other plays for Suc…aw I cannot say it. Okay, I watched them. Arema (IPL faction, not the ISL faction. It’s a long story) versus Al Ettifaq. The lights in the Indonesian stadium got busted in the second half for about 10 minutes. At restart, Ettifaq scored two. Then the lights in my house got out for about 30 minutes. Thank God for modern gadgets and their LEDs. Then Adelaide – Bunyodkor. I watched it. Ulsan – Al Hilal. I watched it. 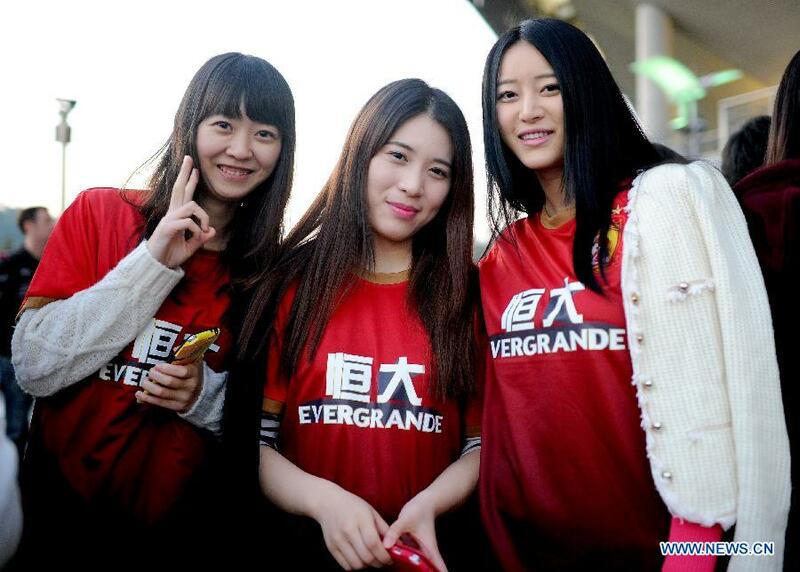 Damn, Al Ittihad – Guangzhou Evergrande. I watched it to the point I was too tired to see Manchester United – Galatasaray. Great assist Shinji, good night. 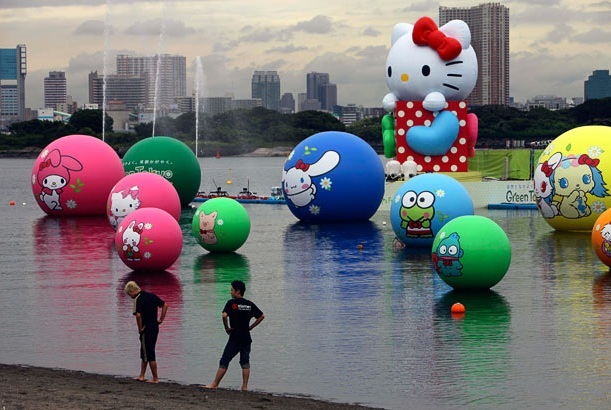 Of course, the continental cups in Asia have had their appeals even degraded. It’s never exciting in the first place. I want to see it to be exciting. But the lifeline of international football in Southeast Asia, ESPN and Star Sports, blessed them for still broadcasting Champions League and continental tournaments, show very budget and plastic presentation of the ACL. No studio preview, no half time analysis, no post match review. Because they are right, not many people in the region are like me. At least in local TVs, which show Indonesian teams playing in the AFC Cup, there’s that package of preview – half time – post match. Yes, it’s unfair – we always make fun of our pundits and reach for the mute button, but admit it, their suits or polo shirts and bar make us feeling not lonely and ridiculous. Of course it’s also lonely at the stadium. At least the Hindmarsh Stadium or Ulsan Munsu Stadium isn’t as deserted as a typical S-League or Hong Kong First Division match, but it’s empty. The Ultras – Australians and Koreans they are, flock in in their hundreds – fat Irish or Greeks with their beer and meat pie, and skinny or flabby bespectacled Koreans with their chicken wings and glass noodle. Boy are their teams gonna be deafened by roars of dozen of thousands Saudi men when they set feet on Riyadh or Jeddah. And finally, the teams. The fallout of K-League corruption scandal might explain why only Ulsan survived Round of 16, er, the group stage. Actually I was bit confused when Seongnam lost to Bunyodkor. A club belongs to a cult worse than Scientology or a club belongs to a kleptomaniac princess? Hmm…okay, I got sad Seongnam lost. And remember that I got peppy that J. League clubs were all in (except Gamba, but why should I remember that)? All were destroyed. But again, look at the bright side. It’s indie. You get Adelaide, which got in through play-off, which were so bad in the last season’s A-League, but they are here. Is there a better time for Australia to win the ACL? Guangzhou – would they show that surge of big money will also work in Asia like it had worked in England, and might be brewing in Russia and Europe? 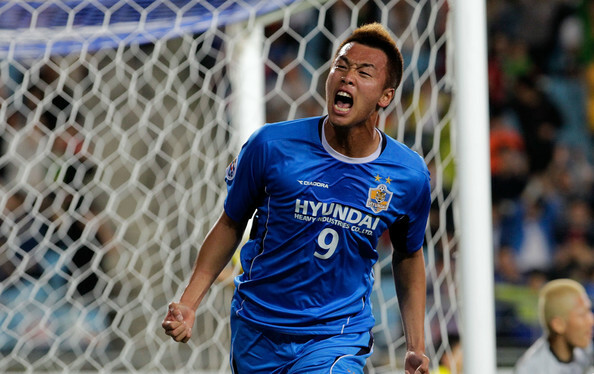 Can Ulsan continue the tradition of K-League to become the best in Asia? And from the west, you get the old guards – Al Hilal, Sepahan, and Al Ittihad. The universe is bit easy on me for this week (kinda) since there’s a parallel between results of this week’s UEFA Champions League and the AFC Champions League. Al Ittihad v Guangzhou – Real Madrid v Manchester City. The new flashy pretender is put down by the old timer despite shocking leads. Ulsan v Al Hilal – Manchester United v Galatasaray. 1-0 at home despite playing badly against a superior opponent, thanks to luck and a good goalkeeping. Well there’s two differences – Al Hilal is more like MU or Milan, and Wesley was luckily was so vain. But Lee Keun-ho was also disappointing, despite his role in Rafinha’s goal. And of course, Adelaide v Bunyodkor is akin to Chelsea v Juventus – hometown joy quickly goes off. The lifeline’s still there for Adelaide – they are not in crisis like Guangzhou do. As for the AFC Cup – so much for Southeast Asian football. Come back next week for more pain. ACL QF results (first leg): Al Ittihad (Saudi) – Guangzhou Evergrande (China) 4-2, Sepahan (Iran) – Al Ahli (Saudi) 0-0, Adelaide United (Australia) – Bunyodkor (Uzbekistan) 2-2, Ulsan Hyundai (Korea) – Al Hilal (Saudi) 1-0. AFC Cup QF results (first leg): Al Kuwait – Al Wehdat (Jordan) 0-0, Arema (Indonesia) – Al Ettifaq (Saudi) 0-2, Arbil (Iraq) – Kelantan (Malaysia) 5-1, Chonburi (Thailand) – Al Shorta (Syria) 1-2. J. League & K-League are over. What’s else to watch? Dad's happy he bought that bargain Hitachi LCD over the more expensive Viera. Okay, Kashiwa get the title they deserve. 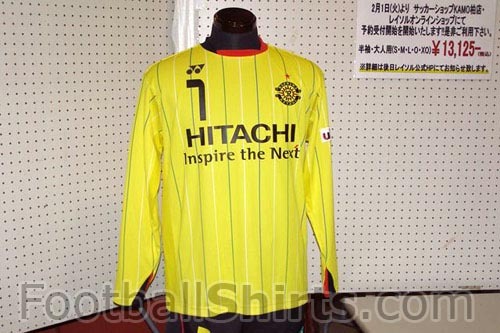 Kashiwa teach us that lemon yellow (well, it’s ain’t as cool as Brazil’s canary yellow) deserves some respect besides the boring blue and red. Even the boring orange. The good news is Urawa, still the most watched team in Japan, survive the year (apparently I did some horrific miscalculation last week) despite Nobuhiro Kato’s terrible terrible mishaps. I wouldn’t be surprised if yesterday morning he had to carry around the execs’ golf kits on his shoulders and back. Certainly this has been a bad year for both Tatsuya Tanaka and Genki Haraguchi. Can Kashiwa outdo Auckland City? Yes they can, all despite Auckland’s Spanish quartet. What about Monterrey? That’s when the test comes from. That’s when we would see if Sakai, Dong-Hyuk, Kitajima, Junya, and even Young-Hak (*I* consider him to be a Japanese) are really better than Kennedy, Tamada, Keun-Ho, and Endo. If they can bet Monterrey, they can go a long way in 2012 ACL. The Emperor’s Cup is still on the roll this month. Sadly it’s not covered by my satellite network that covers J.League (thanks!) so I can only follow the news online and from Singaporean wrap-up programs. Nagoya v Kashiwa is certainly the one to watch (bit harsh for Kashiwa just week after their campaign to represent Japan, eh? ), there are still Corinthians around like Matsumoto Yamaga, and personally I want to see Masashi Oguro & Shunsuke Nakamura playing in the ACL for once. Jeonbuk’s Eninho & Luiz Henrique’s performances against Al-Sadd have certainly made the Club World Cup less exciting that it should be. Yes, I’m still blaming them. Especially after seeing how excellent was Eninho performing during the finals of the Championship against the lesser Hyundai. And remembering how bad did Luiz play during the ACL final rounds. Ulsan have been impressive and it’s worth a wait to see how Seol Ki-Hyeon, Lee Ho, Kang Min-Soo, and Kwak Tae-Hwi (which have been a true tiger during the play-offs) fare next year. The next things to watch without J. League and K-League (and even S-League. And even more CSL) are certainly the A-League, the two Indonesian leagues, and of course Asian players in Europe. The latter is an agony lately. Park Ji-Sung played full-time in Manchester United’s unexpected, unplanned loss to Crystal Palace (my friend never heard of it and she thought it sounds like a Chinese restaurant); Ji Dong-Won, Ko Ja-Cheol, and Son Heung-Min played from the start and were subbed out halfway, Makoto Hasebe was red-carded, Park Chu-Young and Takashi Usami weren’t even on the bench throughout the week, and Shinji Kagawa didn’t score again. (My god, that litany took four lines to write). Again, is it genetics? Physical skills? Mentality? Or is it easier to spot a non-performing Asian than a non-performing Argentine, Swede, or Nigerian? Or in the end they actually played well but it was me who got too obsessed with my quest for Asian Goalscoring Superstar Hero so I spend Mondays worrying that they wouldn’t start the game next weekend? Like what’s happening to Park Chu-Young?